The little girl was very difficult to draw. She was always moving, trying to get her tiny denim jacket in the right position to keep her warm. She must have been too cold to read or to look through picture books. Mom wasn’t too long reading her own books though. The child warmed up quickly. 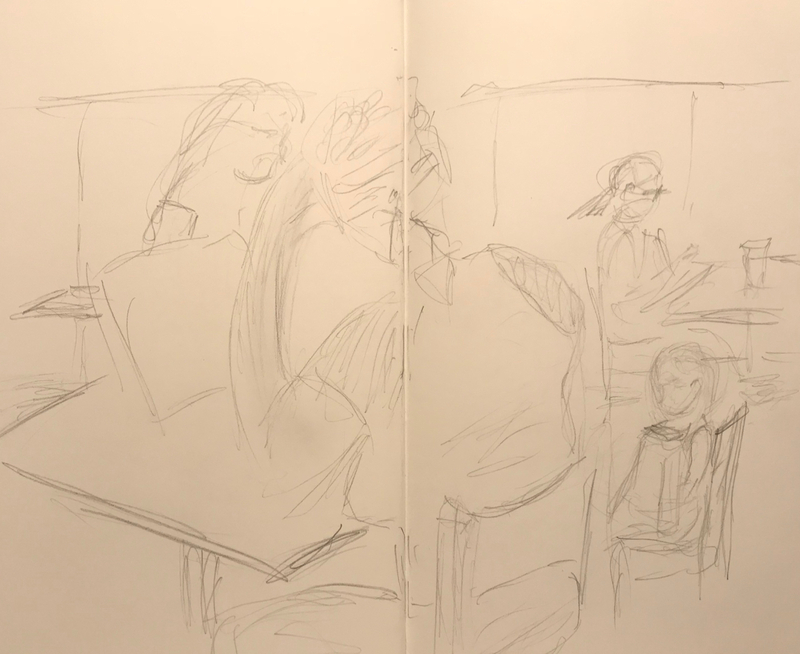 This entry was posted in Personal Stories and tagged art, artistic expression, cold little girl, drawing, group portrait, pencil sketch, portrait, portraiture, sketch, visual art. Bookmark the permalink.